The conversation around how schools can react to poverty typically centers around reduced breakfast and lunch programs. On a few occasions I have heard people express concern as to the access that poverty-affected students have to sports programs, band and other extra-curricular activities. I have never heard people discuss specifically how the grading of standardized homework is but one more hurdle for students living with poverty. I think the time has come. It should be clear to just about anyone that this litany of hurdles would make completing homework difficult, if not impossible. 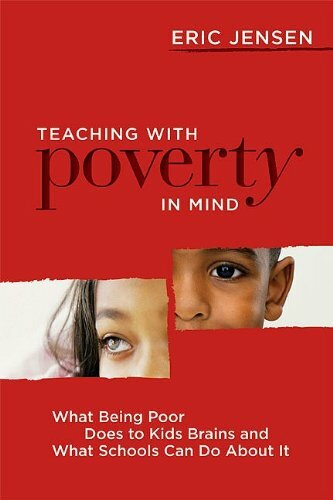 To subject students to the grading of standardized, impersonal homework is questionable on so many levels, and I would argue that poverty-related challenges should be at the top of the list. When any student arrives with incomplete homework, we as educators can never be certain of the reasons. We should never assume that it is due to a lack of effort, but perhaps a safe assumption is that our most financially-challenged students have faced negative factors well beyond their control. Our experience in implementing an in-school suspension system. The problem was, I really did hate it. Too often I handed the student off to a parent who was not in a great frame of mind or position to deal with the situation. Too often the parent was heading straight back to work and I knew the student would be alone. Too often the student lamented the fact he or she would be missing class and would be even further behind when he or she returned. Too often I feared a violent or critical incident might ensue at the parent hand-off, or worse, after the parent and student had left the grounds. Simply stated, it did not feel right, and the more times I went through this process, the more I felt resigned that we [the school] were somehow missing the mark. One of the best days I can recall from my first year as a high school vp, was when I realised that I was not the only one questioning our suspension system as it related to drug-impacted and affected youth. The teachers who worked most closely with some of the students I suspended would cringe at the thought of losing contact with them, especially when they worked so hard to keep these students caught up. One day a few of us who had been questioning this practice went for lunch and began to share our frustrations. It became clear very quickly that there were obvious reasons why conventional, out-of-school suspension systems, were failing our most at-risk, drug-impacted and affected teens. Once we were able to articulate and isolate the reasons we had questioned our practice, we began to shift our paradigm around what we did with our at-risk sector – we were able to get around to building a new system. No matter which direction we took, our conversation seemed to come back to relationships. Our most drug-impacted students needed to be linked to positive adults in our school community and it was incumbent upon us to build a process accordingly. Todd Manuel, a Special Education teacher at Penticton Secondary, took over the helm and has been absolutely instrumental in the design and implementation of this inquiry. Along with a team of focused educators we now are feeling that we are supporting our drug-impacted students like never before.